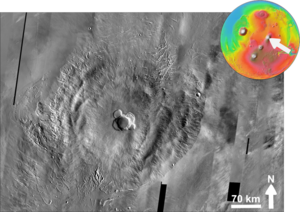 Ascraeus Mons is an extinct shield volcano in the Tharsis region. Ascreus Mons is in the Tharsis quadrangle 11.8°N, 255.5°E (104.5W). ↑ Blunck, J. 1982. Mars and its Satellites. Exposition Press. Smithtown, N.Y. 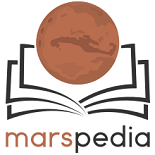 This page was last edited on 10 July 2018, at 08:47.